Drivers whose licenses were suspended, revoked or with full 12 deducted points are banned from driving, and city police's new technology can sniff them out. Shanghai traffic police said on Saturday that they have caught 791 drivers illegally driving in the past 19 months thanks to the face recognition technology which has been integrated to traffic police cameras around the city. Drivers whose licenses were suspended, revoked or with full 12 deducted points are banned from driving. The police loaded data of those drivers into the cameras which matched the data against passing drivers and alarmed the police when suspects were spotted. After the suspicion was manually confirmed, district traffic police were informed and would engage police stations to locate and catch the suspects. Among the 791 drivers caught so far, 68 were found to be driving while their licenses were suspended or revoked and 723 had full 12 points deducted from the licenses, police said. 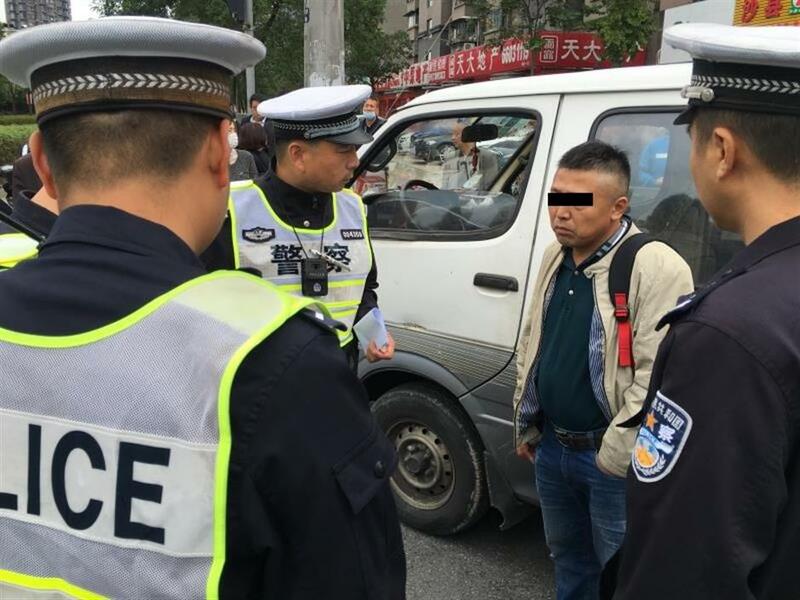 Drivers of the former category were punished with up to 15 days of detention and up to 1,500 yuan (US$228) of fine with deducted points in some cases, and those of the latter were fined 200 yuan. Chen Meixiang‘s driving license was revoked in September 2015 after he was found to be drunk driving. According to the law he could take a driver's test again at least two later to get a new license, but police found out a few months ago with the technology that he was still driving around. Chen was caught on Friday driving at the crossroads of Panguang Road and Jusheng Road in Baoshan District. He was fined 1,500 yuan and faced 15 days of detention. The new technology was first introduced to cameras located at highway entrances to Shanghai in March last year. At first it only targeted drivers whose car plates were issued in Shanghai, but later also covered those with car plates issued in other parts of China.